This project aims to historicise the creation and control of ‘suspect’ migrant communities and the restrictions on the further immigration of members of these groups by the British and Australian authorities from 1900-81. The project aims to scrutinise the creation of ‘suspect communities’ and the policies of surveillance, community control and restricted entry. The expected outcome is to show that such policies and practices did not prevent Britain and Australia from becoming multicultural societies by the 1970s. This will provide a greater understanding of how Britain and Australia’s border control systems have evolved since 1900 and how past historical policies relate to contemporary practices. I am working alongside Associate Professor Andrekos Varnava, Associate Professor Marinella Marmo, Emeritus Professor Eric Richards and Dr Ananstasia Dukova. A blog/website for the project will be established in the near future. If you are working in a similar area, please get in contact! This week, the citizenship of Cypriots as part of the British Empire/Commonwealth (prior to Cypriot independence in 1960) has been the subject of debate in the Australian media, thanks to the controversy surrounding Senator Nick Xenophon. My colleague Andrekos Varnava and I have worked on the question of Cypriot citizenship during the colonial era and the subsequent control of Cypriot migration to Britain between the 1920s and the 1950s. The following is based on a much longer article forthcoming with English Historical Review. The British saw the Cypriot community as a particular problem because of their perceived criminal activities as well as their links to communism and anti-colonialism. The British authorities sought to monitor and control the Cypriot community in London and restrict further numbers from immigrating to Britain through a number of measures in Cyprus, despite the fact that Cypriots were British subjects. At this time, no other colonial group was subjected to such restrictions. The Colonial Office implemented the migration restrictions at the point of departure (i.e. in Cyprus), not because there was disagreement over trying to restrict Cypriots entering the UK, but because this was the most practical way of doing it and the Home Office did not want to implement a point of arrivals system, which could draw criticism from various quarters in the UK. Most immigration history scholars have overlooked the migration of Cypriots to Britain prior to the Second World War. The British occupied Cyprus in 1878, but Cypriots did not become British subjects until 1914 when Britain annexed the island from the Ottoman Empire when it joined the Central Powers. Cypriots started emigrating to Britain and other destinations after the war. In 1921 the British census showed that there were only 316 Cypriots in England and Wales (105 in London), but by 1931 there were 1,059 (734 in London). Additionally, between 1923 and 1931 the Cypriot government issued 10,000 passports to Cypriots declaring an interest to emigrate to the UK, indicating that most did not take up the option, that there was some travel back and forth from the UK and Cyprus or perhaps a third destination, such as the US. Cypriots emigrated because, with a rise in population since the British arrival in 1878, rural poverty manifested given the lack of agricultural development and employment in towns, and Cypriots, especially men, took-up the emigration possibilities presented after the Great War. Amongst the earlier migrants in the inter-war period were sailors working in the East End docks, students and lace merchants, but as time went on more and more unskilled labourers emigrated, and they ended up in the food and hotel service industry in London, mostly working in establishments owned by the Cypriot community in London’s West End. After the 1931 riots in Cyprus, when government house had been burned to the ground and a British crackdown on both the nationalist right and the communist left followed, the number of migrants increased. 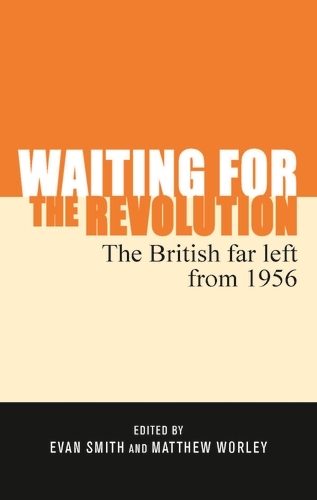 Those leaving the island included many political activists, especially left-wing, who were exiled or fleeing the British crackdown. Until 1936, the majority of those coming to Britain were young male Greek Cypriots, but between 1936 and the outbreak of the war, the number of women and children increased so that by 1938 there were more women and children arriving than men, partly because of the restrictions in place and because the women and children were coming over to husbands and fathers. By 1939 there were between 7-8,000 Cypriots in the UK, mostly living within a small borough in the central West End of London. The Home Office told the Colonial Office that migration controls at the British port of entry could not be introduced to target Cypriots and that the government was not considering wider controls. This did not mean that the Home Office did not agree that a problem existed, since they were involved in regulating the community, but it meant that the Colonial Office was alone in implementing migration controls, which it could only do at the point of departure. I attribute the improvement in behaviour largely to the recent immigration of Cypriot womenfolk which has enabled a number of the men to settle down to quiet family life instead of wasting their time and money gambling at dog races or in the cafes. The British also used passport facilities to monitor and impede movement of suspected communists between Cyprus and Britain. On the advice of the Liaison Officer, at least one suspected communist (and pro-enosist), Kyriacos Pavlou Rossides, was the subject of a refusal order in 1937. Earlier in 1931, the Cypriot government and the Colonial Secretary debated whether to refuse a passport to CPC leading figure Haralambos Vatiliotis (Vatis), a Cypriot British subject who wished to revisit the Soviet Union. Although the Cypriot government was unsure ‘whether a British subject [could] be prevented from leaving the country because he has not got a passport’, the Colonial Office confirmed that the Governor had the power to grant or withhold passport facilities and therefore Vatiliotis’ passport was retained, ‘justified by the public interest.’ This debate was then nullified when after the 1931 riots Vatiliotis was deported to Britain. John Solomos and Stephen Woodhams argued that the British used border control techniques first employed against Cypriots in the 1930s against broader Commonwealth migration in the 1950s and 1960s. Viewing immigration as a social problem that needed limiting, the restrictions imposed on the Cypriots in the 1930s paved the way for the argument that ‘good race relations’ was achieved by ensuring that ethnic minorities remained as minorities and that strict immigration control was necessary to ensure this. The Cypriot case was a prototype for other cases after the Second World War. The closest examples to the Cypriot case were the border controls on Indians and Pakistanis, with Ian R.G. Spencer writing, ‘Cyprus provided a testing-ground for a set of practices that were widely applied in the Indian sub-continent.’ Following the Cypriot immigration restrictions of the 1930s, under the Commonwealth Immigrants Act 1962, only those with government-issued employment vouchers could settle in the UK. Andrekos Varnava, British Imperialism in Cyprus, 1878-1915: The Inconsequential Possession (Manchester, 2009), pp. 262-5. See CO67/204/46764; and CO67/207/19844, Stevenson to Churchill, 14 Apr. 1922, containing Annual Report for 1922 by J. M. Ellis, Chief Secretary’s Office. Robin Oakley, ‘Cypriot Migration to Britain prior to World War II’, Journal of Ethnic and Migration Studies, 15(3), 1989, p. 513; For 1921, the number of Cypriots is given as 334 in Vic George and Geoffrey Millerson, ‘The Cypriot Community in London’, Race & Class, 8, 1967, pp. 277. CO67/237/7, Storrs to Passfield, 9 Apr. 1931. Rolandos Katsiaounis, ‘Η Κυπριακή Παροικία του Λονδίνου και το Αρχιεπισκοπικό Ζήτημα της Κύπρου, 1928-1936’, Annual of the Centre for Scientific Research (Nicosia), 22, 1996, p. 521; Nicolas Manitakis and Michalis N. Michael, ‘Cypriot Emigration to the United States of America (1910 to 1930)’, Chronos, 30, 2014, pp. 99-143. Oakley, ‘Cypriot Migration to Britain prior to World War II’, pp. 515-6. Oakley, ‘Cypriot Migration to Britain prior to World War II’, p. 520. Ibid; and George and Millerson, ‘The Cypriot Community in London’, p. 277. Ian R.G. Spencer, British Immigration Policy since 1939: The Making of Multi-Racial Britain (London, 2002), pp. 11-2. CO 67/258/7, Note from Dawe, 2 Jan., 1935. FCO 141/2523, Acting Colonial Secretary to All Commissioners, 2 Apr. 1936. FCO 141/2554, Thorne to Colonial Secretary, 16 Jan. 1939, p. 4. CO 67/275/4, Handwritten note from A.R. Thomas to J.B. Williams, 11 Aug. 1937. Heinz Richter, ‘The Cypriot Communist Party and the Comintern’, The Cyprus Review, 15(2), 2003, p. 109. Hansard, 18 Mar., 1965, col. 311w. Robert Winder, Bloody Foreigners: The Story of Immigration to Britain (London, 2006) pp. 360-1. Hansard (Lords), 12 Mar., 1959, col. 1204. John Solomos & Stephen Woodhams, ‘The Politics of Cypriot Migration to Britain’, Immigrants & Minorities, 14(3), 1995, pp. 251-4. Spencer, British Immigration Policy since 1939, p. 23. This article looks at an earlier episode in the history of the UK border security apparatus by examining how the immigration control system was used in the 1970s and 1980s to detect potential terrorists from the Middle East and North Africa. Using recently opened archival records, it shows that the UK government introduced a strict system of visa checks, interviews, and other measures to nearly all Middle Eastern and North African visitors to the UK to prevent the entry of suspected terrorist personnel. By using these highly arbitrary measures, it became the modus operandi of the UK authorities to treat all Middle Eastern and North Africans as potential terrorists until convinced otherwise. You can find the full article here. If you would like a PDF, do let me know. 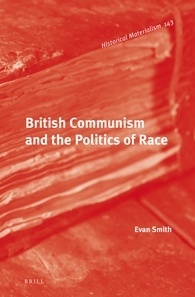 This is just a quick plug to let you all know that Palgrave Macmillan are having a “£30 off” sale until December 31, 2016 and while they do publish a ton of great books, you should really use it to buy our book, Race, Gender and the Body in British Immigration Control. 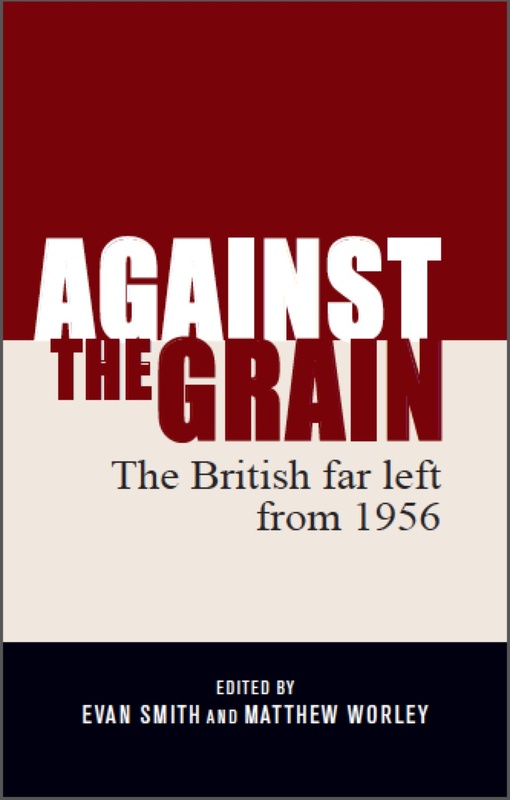 You can buy it from the Palgrave website here. Remember to use the code PHLDY16EP. This book analyses the practice of virginity testing endured by South Asian women who wished to enter Britain between the late 1960s and the early 1980s, and places this practice into a wider historical context. Using recently opened government documents the extent to which these women were interrogated and scrutinized at the border is uncovered. Tory backbencher David Davies has recently called for dental x-rays to verify the ages of refugees coming from Calais. Although these calls were dismissed by the Home Office and the British Dental Association, this is an issue that has lingered since the 1970s. Below is a post based on an article that Marinella Marmo and I wrote back in 2013, with a lot more historical data included. 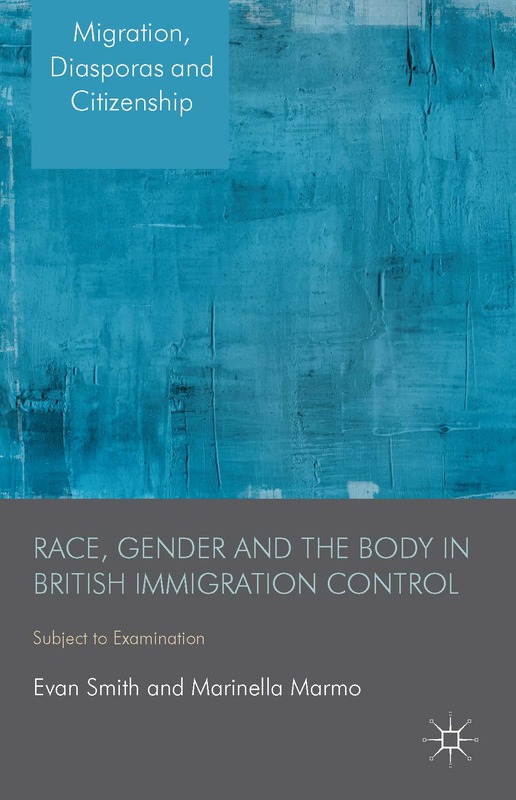 This case study also features in our book Race, Gender and the Body in British Immigration Control (Palgrave Macmillan, 2014). In the UK border control system, there is a high level of suspicion inherent, with border control practices often starting from the assumption that migrants, visitors and those seeking asylum are attempting to evade or deceive the system. The default thinking of the border control system seems to assume that certain migrant groups are not who they say they are when interacting with the system. As Marmo and Smith (2010a; 2010b) have argued, there has been a long-standing belief in the UK border control system that migrants and asylum seekers, particularly from Asia and Africa, are potentially ‘bogus’ migrants, with constant mention by the authorities about the unreliability of the testimony of migrants and asylum seekers from these parts of the world, as well as a suspicion that documentary evidence provided by these migrants is likely to be fake. The authorities claim to weigh up decisions ‘on balance of probabilities’, but it is often the case that the border control staff begin from a point of total disbelief and shift the burden of proof onto the person applying to enter the country. With this burden of proof placed upon the individual, it is often difficult to persuade the authorities that their reasons to enter the country, as a visitor, a working migrant, a migrating family member or even as a refugee, is genuine, which is made more difficult by the presumption that testimony and documentary evidence provided by certain migrant groups is likely to be falsified. Under the intense scrutiny of the border control authorities, if testimony and documents are not considered to be convincing enough, the focus of the authorities may shift to physical examination, with the body becoming the marker of ‘truth’. As Didier Fassin and Estelle d’Hallunin (2005: 598) wrote about refugees in the French border control system, ‘their word is systematically doubted [and] it is their bodies that are questioned’. This post examines one particular way in which the body is questioned by the border control system – the use of x-rays for age assessment. The use of x-rays for this purpose is a non-medical use of the technology and is used solely for the administration of the border control system in an attempt to determine whether a person intercepted by the system is telling ‘the truth’ or not. This post will look at how x-rays were used in the UK border control system in the past and the continued debate about whether to reintroduce the practice for border control purposes, particular the decision by the UK Border Agency (UKBA) to trial the use of dental x-rays for age assessment in 2012. Within the UK border control system, the authorities have relied on the use of x-rays in an attempt to extract ‘the truth’ from people whose testimony and documentary evidence is not believed, despite the ethical concerns raised in using medical technology for non-medical purposes and criticisms that x-rays are not satisfactory tools for assessing age. In the UK context, x-rays were used in controlling immigration from South Asia during the 1960s and 1970s. By this time, the largest number of migrants entering the UK was from the Indian subcontinent in the form of family reconciliation. Many young men came to the UK from South Asia in the 1950s and early 1960s before the introduction of immigration controls and with a decline in labour migration from this region in the early 1970s, the majority of migrants from India, Pakistan and Bangladesh were the families of the young men who had arrived in the UK in the decades before. Several pieces of legislation had been introduced between 1962 and 1971 to limit mass migration from the British Commonwealth, but the Immigration Act 1971 still allowed the wives and children (under the age of 18) to join their family members already residing in the UK. With the significant number of migrants applying to enter UK under the guise of family reconciliation, particularly as children aged under 18, the UK authorities thought that this was a loophole that could be exploited, often as documentation regarding children was less substantial than an adult (for example, children often did not have their own passports and were simply listed on an adult’s passport). The UK border control staff were especially concerned about teenage male migrants, who, if they were over the age of 18, would not be allowed to enter the UK and who were the least ‘desirable’ (due to their labour capacity) in 1970s Britain. To determine whether teenagers were falsely claiming to be under 18 for migration purposes, the UK border control system, particularly at the British High Commissions in South Asia where applications for entry clearance certificates were first assessed, used x-rays of the wrists of individuals to estimate the skeletal age of the applicant. Although the practice had occurred for most of the 1970s, it was not until The Guardian published details of gynaecological examinations being conducted on migrating South Asian women in early 1979 that the practice became widely known. At the height of the ‘virginity testing’ controversy in February 1979 (see Smith and Marmo 2011), details also emerged that x-rays were being taken of women and children to ascertain the age of suspected ‘bogus’ migrants, as well as for supposed communicable diseases. It was claimed in The Guardian that these x-rays were being conducted by unqualified immigration officers at Heathrow, as well as at High Commissions abroad, which ‘expose[d] both the passengers and clerks to considerable radiation hazards’ (The Guardian, 9 Feb, 1979: 1). The Guardian (8 Feb, 1979: 1) also reported that at the British High Commission in Dacca, a pregnant woman had her skull x-rayed, ‘despite the fact that Department of Health regulations would prevent such a test on pregnant British women’. A possible indication that the British Government held strict immigration control as a primary concern, rather than providing humanitarian approach to potential migrants, was in the response to these allegations by Eric Deakins, a junior Department of Health Minister, who said that ‘immigration screening cannot be measured against [domestic] NHS standards’ (The Guardian, 9 Feb, 1979: 1). Like the virginity ‘tests’, the veracity and usefulness of these examinations was questioned, with Labour MP Jo Richardson stating, ‘medical opinion… is beginning to query the practice. It is beginning to say that it is an unreliable method of determining age’ (House of Commons, Hansard, 19 Feb, 1979: 216). In response to the questions surrounding the use of x-rays in immigration control, the Labour Government acquiesced somewhat in the face of mounting criticism and Rees announced the Chief Medical Officer, Sir Henry Yellowlees would ‘carry out a review of the objects and nature of all medical examinations in the immigration control context’ (Cited in, Juss 1997: 109). The central issue thrown up by the variety of medical tests remains that of discretion and its monitoring… When the virginity tests first came to light, we said that investigation of a particular case was not enough and that a full debate on immigration procedures was needed… But it cannot begin until the full codes of guidance for immigration officers and their medical colleagues as well, are published and the scope of their practices is clearly and publicly disclosed. This frustration with the internal inquiry being conducted by Henry Yellowlees led to the Commission for Racial Equality (CRE) to propose an independent investigation into discrimination within immigration control, which lasted from 1981 to 1985. The inquiry performed by Yellowlees and his assistant, Dr N.J.B. Evans, on the other hand, was undertaken during 1979-1980, with the final report released to Parliament in April 1980. I conclude that the use of X-rays of the bony skeleton provides a useful, fairly accurate and acceptable safe way of estimating age of children when it is important to do so. (Children in this context means up to about 21 years…) Only one or two X-ray pictures need be taken, of the upper limb or the lower limb excluding the hips. Provided proper shielding is used in accordance with normal radiological practice, the radiation dose to the parts X-rayed is minimal and the scattered gonadal dose is insignificant. These views accord with informed radiological opinion in the UK and overseas (Yellowlees, 1980b: appendix 1, 3). The report also concluded that ‘United Kingdom radiological opinion holds that X-rays are not particularly useful for estimating the age of adults’, but acknowledged that the Foreign and Commonwealth Office had instructed Entry Clearance Officers in October 1979 that x-rays should not be administered on anyone thought to be over 21 years of age (Yellowlees, 1980b: appendix 1, 3-4). After a thorough and objective examination of the practice, one must conclude that radiological examinations are a highly inaccurate method of determining chronological age (cited in, Gordon, 1983: 16). As mentioned before, the Yellowlees Report sidestepped the issue of data on the skeletal maturity of South Asian children and recommended that further research in this area was required. The Joint Council for the Welfare of Immigrants (1981: 13) stated that the report’s findings on x-rays ‘managed to contradict itself and most accepted medical opinion regarding the reliability of such assessment’. However in FCO briefing notes for answering press questions on the report, it stated that the Home Secretary was ‘not aware that the balance of informed medical opinion is against such tests’ (FCO 1980a: 2) and the government persisted with the claim that x-rays for age assessment purposes was both useful and relatively safe (for example, FCO 1980b). So the x-raying of children continued throughout 1980 and 1981. In January 1981, the Foreign Minister Lord Carrington stated in the House of Lords that in the last nine months of 1980, around 360 children under 21 had been x-rayed in Dacca and around another 300 in Islamabad (House of Lords, Hansard, 19 Jan, 1981: 336w). The following January, Parliamentary Under-Secretary for the FCO, David Trefgarne, announced in the House of Lords that during 1981, approximately 420 children had been x-rayed Islamabad and 262 children in Dacca (House of Lords, Hansard, 28 Jan, 1982: 1114w). However the following month, the Home Secretary Willie Whitelaw announced that the FCO would no longer be carrying out x-rays on children for these purposes. Whitelaw stated in parliament that Yellowlees had revised his opinion since the report was released in 1980 and advised the Home Secretary that x-rays were now ‘unlikely to provide more accurate evidence of age than the assessment of other physical characteristics of an individual, and therefore can add little to the general clinical examination’ (House of Commons, Hansard, 22 Feb, 1982: 279-280w). The Runnymede Trust archive at the Black Cultural Archives in London has a copy of the letter that Yellowlees wrote to Whitelaw, which concluded that ‘the usefulness of the X-ray method of estimating age must be limited in the immigration context’ (Yellowlees, 1982: 2). Yellowlees maintained that the x-rays were relatively safe, but chiefly found that using the template of the skeletal maturity of North American or European children to assess the age of South Asian children was insufficient to make an accurate assessment of age. Yellowlees (1982: 2) stated ‘the scientific foundation for this when applied – for example – Asian children must be open to doubt’. Whitelaw said that Yellowlees had ‘concluded that such X-ray examinations are of limited value and their continued use in the immigration context can no longer be justified’ (House of Commons, Hansard, 22 Feb, 1982: 279-280w). In its report, the CRE (1985: 40) argued that since the government acknowledged that x-rays were not satisfactorily reliable for estimating age, ‘it should attempt to review previous cases where such evidence was a substantial factor leading to refusal’, but this recommendation was not enacted by the government. In a document outlining the government’s response to the CRE report, held in the Runnymede Trust archive, stated that it was ‘not feasible’ to review all of these cases ‘given the immense amount of work it would involve’ (Home Office, 1985: 12). Since Whitelaw’s decision to end the use of x-rays for the assessment of age in migrant children, the topic has been referred to from time to time by parliamentarians. For example, in the House of Lords debate on the Asylum and Immigration Bill 1996, Lord Avebury sought to insert an amendment which would effectively ban the use of x-rays for the assessment of age, but was rebuffed by Lord David Renton who said that, ‘[i]t is difficult for the immigration officers, medical people, or anyone to say what those people’s ages really are. If the X-ray can decide the matter, we should keep an open mind on the issue’ (House of Lords, Hansard, 20 Jun, 1996: 562-563). Aynsley-Green, et. al. (2012: 102) has shown the matter was brought up again in 2006 and 2009, and most recently has been revived by the UKBA in early 2012. In March 2012, Zilla Bowell, the Director of Asylum for the UKBA, wrote in a letter, reproduced on the website of the Immigration Law Practitioners’ Association, to various stakeholders announcing that there would be a three month trial of using dental x-rays to determine the age of asylum applicants. The letter said that many would ‘be aware of the difficulties that arise when we are not able to establish, with any certainty, the age of an asylum applicant’ and that the UKBA were ‘keen to utilise any appropriate tool which can increase our levels of certainty (as long as it does not have a negative impact on the individual in safeguarding terms, of course)’ (Bowell, 2012a). The trial was aimed at people assessed as adults, ‘but who continue to contend that they are children’ and the UKBA argued that ‘participation in the pilot is completely voluntary’ (Bowell 2012a). However this proposed trail received significant criticism from immigration lawyers, medical and dental professionals and the four UK children’s commissioners, who were quoted in The Guardian (30 Mar, 2012) as claiming the proposed actions were ‘a clear breach of the rights of vulnerable children and young people and may, in fact, be illegal’. While talking to some stakeholders, Damien Green, the Conservative Minister for Immigration, admitted in parliament that the UKBA had not discussed the trial with the Equality and Human Rights Commission, but had ‘sought legal advice on the legality of the trial’ (House of Commons, Hansard, 30 Apr, 2012: 1081w). A month later, Bowell sent another letter announcing that the proposed trail was being halted, after the Chief Medical officer suggested that the UKBA discuss the trial with the National Research Ethics Service (NRES). According to Bowell (2012b), the NRES ‘concluded that our proposed trail constitutes “research” and that, as such, it requires the approval of a research committee before it can proceed’. Bowell (2012b) argued that this was ‘contrary to their expectations’, explaining that the view of the UKBA was that ‘the trial did not constitute “research” and ethical approval was not therefore necessary’. The Guardian (27 Apr, 2012) called this ‘a profound embarrassment for the Home Office’ and claimed that the Home Office had refused for a month to publicly reveal whether the agency had ever sought ethical permission for the programme’. Both Bowell (2012b) and the Minister for Families, Sarah Teather, said that no x-rays had yet taken place (House of Commons, Hansard, 30 Apr, 2012: 1236w), and the UKBA were looking into whether to proceed with the trial in the future. Firstly, the authors pointed out that x-rays of bones or teeth ‘can never indicate precisely the chronological age of the individual’ and at best could provide an estimate of skeletal/dental maturity compared to an average control subject (Aynsley-Green, al., 2012: 24). Further to this, as x-rays for age assessment were most likely to be used to establish whether a young person was over the age of 18 or not, the authors acknowledged that the most salient group affected by this practice would be young persons between the ages of around 15 to 20 years old and in the article. However, the authors stated, ‘there is no “scientific method” that can provide a precise assessment of chronological age in individuals between 15 and 20 years of age’ (Aynsley-Green, et. al., 2012: 27). Secondly, the authors noted, which the Yellowlees report had sidestepped in 1981, that ‘standards of normality’ in regards to age assessment using physical characteristics are ‘simply not available for children and young people from many countries in Asia, Africa or the Middle East’, with the authors further stating that it would ‘unsatisfactory to assess their images from the standards derived from Caucasian, European or North American children’ (Aynsley-Green, al., 2012: 24). Thirdly, the authors simply state ‘although superficially easy to do, radiography demands expert interpretation by experienced paediatricians, dentists or radiologists’ (Aynsley-Green, al., 2012: 24). What the authors seem to be implying with this statement is in the border control context, x-rays for age assessment might be utilised by border control staff, rather than medical professionals. This was also a concern in 1979 when the controversy over x-rays first emerged. Fourthly, the authors point out that x-rays give a dose of radiation and that the non-medical use of x-rays is not safe or ethical on these grounds, stating that the x-rays are ‘driven solely by a government’s administrative convenience and is without therapeutic benefit to the individual’ (Aynsley-Green, al., 2012: 24). Lastly, the authors propose that all medical procedures should only be conducted with fully informed consent of the individual, but ‘[i]n the immigration context, ensuring that full and informed consent is obtained is complicated by cultural, religious and linguistic factors, often coupled with a general lack of understanding of medical environments’ (Aynsley-Green, al., 2012: 25). Also in the border control context, if a medical procedure is to be used as evidence where the burden of proof falls on the applicant, then the applicant has no choice but to consent or else their application will probably be unsuccessful. This can no longer be considered consent. As well as listing these concerns, the authors mentioned a number of medical and dental bodies that opposed the use of x-rays for age assessment purposes, stating that growing concern that this use of x-rays was ‘imprecise, unethical and potentially unlawful has led every relevant statutory and professional body in the UK to argue against its use’ (Aynsley-Green, et. al., 2012: 25). Does the border control system lack institutional memory? entry clearance procedures abroad are operated on the assumption that they need to be directed towards the detection of bogus applicants even if in the process genuine applicants are refused. This licenses entry clearance officers to behave like a fraud squad, rather than as neutral officials processing applications from the wives and children of British and settled men (JCWI, 1985: 2). This post would argue that this still seems to be the case now. Marmo, M & Smith, E (2010a) ‘Racial Profiling at the British Borders: An Historical Overview of the Process of Selection and Scrutiny’, in J. Shantz (ed.) (2010) Racial Profiling and Borders: International, Interdisciplinary Perspectives (Vanderplas Publishing, Lake Mary) 35-69. Marmo, M & Smith, E (2010b) ‘Is There a Desirable Migrant? A Reflection of Human Rights Violations at the Border: The Case of “Virginity Testing”’, Alternative Law Journal, 35/4 (December 2010) 223-226. This is just a quick note to let you all know that History and Policy have just published a policy paper by me on the history of policing the Irish border and the possible impact of Brexit upon how this border operates. It is based on this earlier blog post. With the debate about ‘Brexit’ heating up in the final week before the Referendum, there has been more and more debate about what would happen to the border between Northern Ireland and the Republic of Ireland. During the conflict in Northern Ireland, the British, Northern Irish and Irish authorities were also concerned about this border, and how travel across it would be monitored. The British were most concerned about potential terrorists crossing the border from the Republic into Northern Ireland and Northern Irish terror suspects fleeing to the South. Throughout the 1970s, the British, as well as their local counterparts, attempted a series of different tactics to prevent border crossings, starting with an explicitly militarised approach to the experimentation with a more traditional immigration control system. As Vicki Conway wrote, it was not until the Anglo-Irish Agreements in the mid-1980s that the Irish border was effectively controlled from both the British and Irish sides. With the focus on intercepting vehicles crossing the border and the use of checkpoints, there was also disagreement over how these interceptions would function. At first, there was a push for compulsory ID checks on all of those who crossed the border, but it was acknowledged that this was ‘a valuable aid to the identification of drivers, but that this did not help in relation to passengers’, as non-drivers in both the UK and the Republic of Ireland were not required to hold identification papers at all times. Adding to this was confusion amongst the different agencies over whether Republic of Ireland driver’s licenses had photographs or not. To get around these specific problems, it was floated whether all people living or working within a designated border zone could be issued with a special vehicle permit. In the same document, it was suggested ‘if there is a case on security grounds for imposing this requirement, it should be applied over the whole province and not only in a specified border area.’ However with both suggestions, it was felt that this would be an onerous requirement and that permits could not quickly issued. The conclusion to these proposed checks was that ‘[t]he imposition of a requirement to carry vehicle documents would not necessarily bring about any substantial improvement in border security’ and that ‘[e]nforcement would present considerable difficulties’. After 1972 (the deadliest year in the 30 year conflict), the Provisional IRA shifted tactics to attacking targets on the British mainland, while Loyalists targeted civilians in the Republic of Ireland. Although there were two bombings at the Old Bailey in 1972, it was not until the following year that the British mainland campaign began in earnest, with retaliation by Loyalists through the bombing of civilian areas in the South. At the same time, the British authorities believed there was an increase in the number of incidents in Northern Ireland perpetrated by Republicans crossing the border from the Republic. The British Army estimated that ‘terrorists based in the Republic have been responsible for at least 497 incidents in 1973’. The spread of the conflict from Northern Ireland to Britain and the Republic of Ireland worried the British and Irish authorities, although there was little Anglo-Irish co-operation at this stage. The bombing of two Birmingham pubs in October 1974 led to the newly installed Wilson government to rush through the Prevention of Terrorism Act (Temporary Provisions) Act 1974. As well as extended powers of detention for those suspected of terrorism offences in Britain, the Act also gave powers to regulate the travel of people from Northern Ireland to England, Wales and Scotland (Great Britain) and exclude/deport those suspected of being involved in terrorism offences (related to the conflict in Northern Ireland – the PTA did not extend to the other forms of international terrorism on the rise in the 1970s). In 1976, the Act was amended to cover people travelling from the British mainland to Northern Ireland, but crucially neither act dealt with suspects travelling between Northern Ireland and the Republic of Ireland. The British authorities still relied on policing the border though a series of checkpoints. Furthermore, the report argued that border area was not topographically ideal for surveillance and certain technologies, such as radar and unattended ground censors, had limited success in helping the authorities detect subversives crossing the border. To overcome this, the report revisited the idea of laying mines, erecting wires or some other kind of immovable physical obstacle across the border to restrict illegal crossings. However it was felt that the use of either mines and wires had ‘an unpleasant “East German” connotation and would be indicative of a siege mentality’, with the added problems that ‘[m]ines would be dangerous and wire would be unsightly’. In 1977-78, Lord Shackleton undertook a review of the Prevention of Terrorism Act 1976 and despite suggesting that exclusion orders be subject to periodic review, there was little revision on the issue of cross-border terrorism and subversion. At the same time, the temporary provisions of the 1976 Act were up for renewal. At this point, the Home Office briefly considered whether the transformation of the checkpoint system into a more formal border control system across the Irish border would help in the fight against Republican (and Loyalist) violence. However it was soon concluded that, like the checkpoint system, control of the border between Northern Ireland and the Republic would still require a large amount of manpower. A report prepared by the Home Office stated categorically, ‘A system of full immigration control would be costly, most difficult to administer, and of limited effectiveness’. Although the conflict in Northern Ireland has, for the most part, ended, it would be wise heed this warning about the difficulty of implementing an immigration control system between Northern Ireland and the Republic of Ireland. Since the creation of the Republic of Ireland in 1949, there have been no immigration restrictions between the UK and Ireland and the only controls have been applied have been the exclusion orders under the Prevention of Terrorism Acts (which were made redundant in 2000 by the Terrorism Act). To establish a new border control system at the land border between Northern Ireland and the Republic would be a blow to the peace settlement forged in 1998, and to wider Anglo-Irish relations. ‘Control of Northern Ireland Borders: Preliminary Report’, 17 May, 1971, p. 1, CJ 4/424, National Archives, London. ‘History of the Partial Closure of the Border in 1970’, 17 May, 1971, CJ 4/424, NA. Ministry of Home Affairs, ‘Border Control: Vehicle Documentation’, p. 1, 1 February, 1973, CJ 4/424, NA. Letter from Northern Ireland Office to Northern Ireland Command, 30 March, 1973, CJ 4/424, NA. Government Security Unit, ‘Control of the Border’, p. 1, 30 March, 1972, CJ 4/424, NA. Central Secretariat (Stormont), ‘Vehicle Documentation in Border Areas’, 13 November 1972, p. 4, CJ 4/424, NA. Ministry of Home Affairs, ‘Border Control’, p. 4. Central Secretariat, ‘Vehicle Documentation in Border Areas’, p. 6. Ministry of Home Affairs, ‘Border Control’, p. 7. ‘Control of Northern Ireland Borders’, p. 1. Lt. Colonel Reynolds, ‘Border Security’, 30 January, 1974, p. 1, CJ4/810, NA. Northern Ireland Office, ‘’Picquets and Unmanned Devices on the Border’, 2 December, 1976, p. 1, CJ 4/1758, NA. Lord Shackleton, Review of the Operation of the Prevention of Terrorism (Temporary Provisions) Acts of 1974 and 1976 (London: HMSO 1978) pp. 39-41. ‘Difficulties Over Proposal for Immigration Control Between the United Kingdom and the Republic of Ireland’, n.d., HO 344/336, NA.